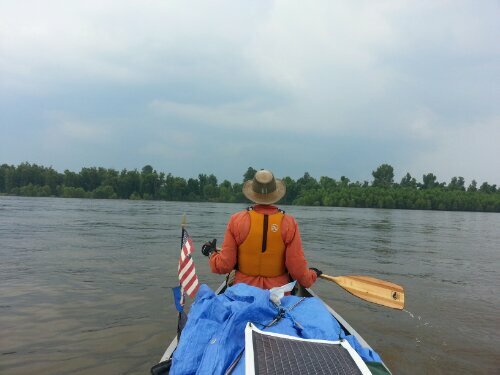 There are no easy miles on the Lower River, Mike of Big Muddy Adventures warned us as we left St. Louis. So, fittingly, just as we approached the confluence of the Ohio River at Cairo, IL (kay-row), an unexpected windstorm picked up and grounded us for several minutes. We finally entered the Lower River and immediately three men on a camouflage fishing boat approached us. At first we were hesitant — were they going to try and convince us to get off the river? — but before asking us where we were headed or where we came from, they offered us ice cold water, cans of Coke and a catfish. Welcome to southern hospitality. Of course, right after they left a thunderstorm picked up and we were soon surrounded by bolts of lightening on almost all sides. Since St. Louis, the trip has changed in several ways. It’s a good deal hotter, for starters. This week temperatures have been in the mid to high 90s with heat indexes in the 100s. This hand sanitizer bottle was no match for it and started apparently melting. Bad as that may sound, it’s been easier to handle than we expected. 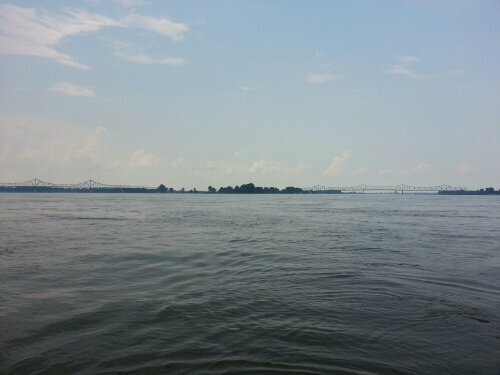 The breeze on the river makes the heat a bit more tolerable, and (so far) it actually feels quite a bit hotter on the sandbars and in towns. The tows are also bigger, and there is more commercial traffic. (Tows are river speak for the tug plus all the barges.) Before St. Louis, the locks and dams limited tows to about 3 barges by 5 barges. Now we’ve seen tows more than twice that size. We went through one of the busiest stretches sections of river, the St. Louis harbor, and we decided to power through it on a Sunday morning in hopes there’d be fewer tugs and tows to tangle with. Our marine radio was tuned to channel 13, the frequency tow pilots use to communicate with each other, but most of them sound like Boomhauer from King of the Hill so we generally have no idea what they’re taking about. “Northbound dang brang around brangramg bend man,” is all we hear. After trying to speak with a number of them, Linnea finally succeeded in the St. Louis Harbor. Another change we’ve noticed is people along the Mississippi are generally more scared of the water. At a recent marina, where we stopped for ice and water, a woman tried to convince us paddling the rest of the river was a terrible idea. Instead, she offered, we should paddle up the Ohio to the Tennessee River and finally to a waterway called the Tenn-Tom, which sounds much harder and of course is a compete departure from our intended destination. In a bank in Grand Tower, IL, one of the employees — who were awesome for giving us cold water and letting us hang out in the air conditioning — said that since ’93 no one boats or swims in the river. Unfortunately we forgot to ask what happened in ’93 that made the river so dangerous, so it remains a mystery. People along the river remain amazingly helpful, but sometimes you have to take their advice with a grain of salt since they haven’t paddled the river and don’t really understand what a trip like this is like. Many many people want to help but end up offering things that make no sense, since everyone’s frame of reference assumes every human has a car instead of a 17′ Alumacraft and over 100 pounds of gear they need to bring everywhere. Danny, who we meet in Cape Girardeau, said no one can understand what this trip is like unless they’ve done it. This is true, but what makes it even more true is how doing this trip makes you a part of paddler culture we didn’t even know existed when we started. Through Justin and through other people who’ve found our blog, we’ve been connected to a long-distance paddlers network that follows and helps people on these trips. When we met the first few “river angels” we thought they were remarkable exceptions. By the time we met Mississippi paddler Danny Rees a few days ago, we’d realized being picked up and chauffeured around, and maybe offered a shower and a place to sleep, is the norm. It’s an amazing thing to be a part of. We almost feel like we need to move back to Minneapolis to help people coming down in the future. Having this community around us, in person or online, has been incredibly helpful and encouraging, but this trip is still hard. Various aches and pains made this morning a difficult one and like a lot of moments on this trip we were questioning whether we were going to make it. 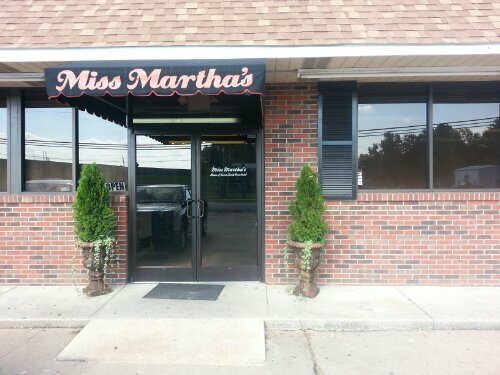 Then we got to Hickman, KY, and like a lot other moments on this trip, we came to a place that lifted our spirits. 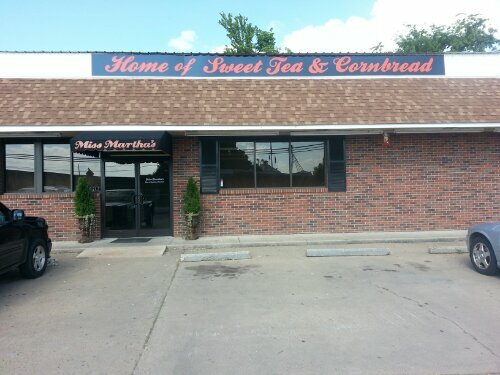 Today we went to lunch, and are staying for dinner, at Miss Martha’s, Home of Sweet Tea and Corn Bread. This entry was posted in Kentucky, Missouri by Dave. Bookmark the permalink. Cairo (kay-row) and Milan (mi-lin) Missouri. My old stompin’ grounds. Sail along, Jay! to shrug off obstacles and shove forward, onward, upwards! Aha! We figured a flood was the answer. You guys are hitting your stride now. This part of my river was my absolute favorite. Take your time to enjoy the wildness. Talk to those southern tow pilots, accept the misplaced advice and hospitality with a smile you will have an amazing time. Keep it up! Ps. 1993-year of a big flood on the Mississippi. Hey guys! Sounds good so far! Took me a while to learn this, but a tug boat is the one you see pulling large ocean-going ships and tankers, like in harbors; and tow boats are the ones that push barges on rivers. You will see tug boats and tankers when you get to Baton Rouge, they’re really impressive (and intimidating)! I’m curious, do you guys always hug the shore when you paddle? I am doubtful that you’re ever in the middle of the river, or in the channel. With all the bends and curves in the river, I’m just curious where you usually try to stay to avoid getting squashed. We generally stick to the inside edge of the channel and get out when tows are approaching. Wing dams and lack of current make it difficult to stick right by shore but if a section is particularly busy then we sometimes do hug the shoreline. So maybe they don’t do boating, but I bet they make a mean cornbread!